There has been much excited discussion amongst the teams here at Influential Software about the upcoming launch of Microsoft SharePoint Server 2016. After the announcement last year that the official release would be delayed there has been much anxious anticipation for the upgrade and its new features. In November the SharePoint Server 2016 Beta 2 was made available for test drive and from the feedback of over 5,000 customers, the SharePoint team have announced that a high-quality Release Candidate (RC) is now ready for download. What New Features Can We Expect? There are reports of enhanced IT, optimized developer productivity, better data security and much, much more. For details on the specifics, take a look at this full list of new and improved features in the SharePoint Server 2016 Release Candidate. The SharePoint Server 2016 RC is available for download and the engineering teams are still welcoming feedback from all users, so it’s clear that work is still underway – but the finish line seems in sight. 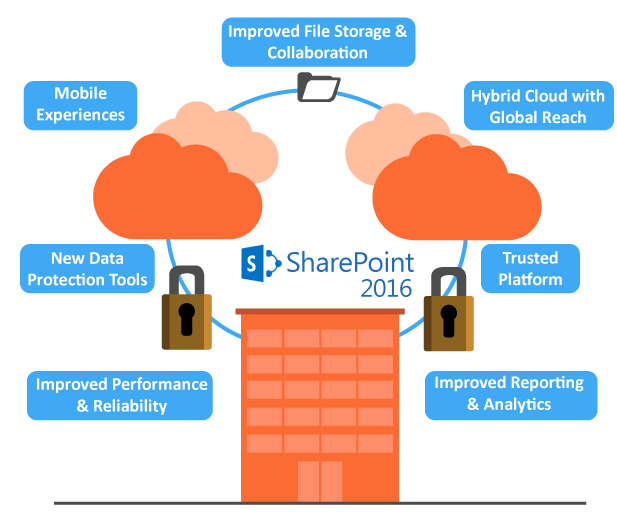 Are you interested in upgrading to SharePoint 2016? Influential Software is a Preferred Partner of Microsoft SharePoint and whether implementing SharePoint for the first time, or upgrading to the new platform, we are ready to help. Get in touch with Influential today to talk about your project. The latest word on the full release of SharePoint Server 2016 is that it will become generally available in Q2 2016. There has been much speculation over the reasons for the delay, many suggesting that it is a strategic decision to allow some breathing room for the development of Office 365. Hybrid capability between on-premises applications and Office 365 has been talked about a lot for the release of SharePoint 2016, and it’s crucial that it works seamlessly. The Influential team knows very well the challenge of ensuring fluid integration between software platforms – with that in mind it’s no bad thing if they take their time to ensure that the new system is the best it can be. Either way with the new RC out and the proposed release date drawing closer it’s safe to say that the real thing isn’t far away now, and thousands of eager customers can’t wait to see the results of all this hard work.